Content is delivered via deep technical breakout sessions as well as highly interactive sessions where attendees evaluate plans or share community feedback. Breakout sessions are aligned to the MVP Award Program taxonomy. Although some sessions will be exclusive to specific technologies, most sessions will be open so that you can participate in all areas regardless of Award Category. The MVP Summit will host technical and interactive breakout sessions from all Award Categories on Monday, Tuesday and Wednesday. Some product groups are offering additional optional activities on Thursday and/or Friday. As a reminder, the event only covers your hotel through Wednesday evening (Sunday – Wednesday, 4 nights). Any additional nights will be at your own cost. Session delivered by Microsoft Product Team personnel, typically focused on deep-dive content by Award Category, or a group session including multiple Award Categories. We will hold an optional Community Pre-Day for all registered attendees on Sunday, March 17, at the Hyatt Regency Bellevue. Pre-day sessions will focus on bringing together our community around values of inclusive leadership. CPM Meetups will be a great opportunity to learn more about MVP program events happening in your local community. Meet your CPM and connect with fellow MVPs over light bites and beverages. Product Group networking is a casual gathering with drinks and snacks providing an opportunity to meet and mingle with product group personnel from your Award Category. Held on Wednesday evening, the reception will be an excellent opportunity to network with your fellow MVPs, CPMs and Microsoft staff over food, beverage and a variety of hands-on entertainment. Some Product Groups may host additional workshops and sessions on campus. All sessions will be available for viewing in Schedule Builder. Check back frequently for more information soon! AI: Hands-on workshop on Thursday open to all MVPs. Business Applications: Additional sessions on Thursday open to only Business Applications and Power BI MVPs. MVPs will need to account for their own travel needs to this location from their respective hotels. Cloud and Datacenter Management: Additional sessions on Thursday and Friday open to all MVPs. Data Platform: Additional sessions focused on Power BI on Thursday open to all MVPs. MVPs will need to account for their own travel needs to this location from their respective hotels. Developer Technologies: Deep dive sessions and open hours focused on ALM on Thursday and Friday open to ALM contributors by invitation only. Hackathon hosted by .NET and Xamarin groups on Thursday open to all MVPs. Enterprise Mobility: Breakout sessions and a hackathon focused on Remote Desktop Services on Thursday and Friday open to all MVPs. Additional sessions focused on SCCM & Intune on Thursday and Friday (half day) open to only SCCM & Intune DLs and to Windows and Devices for IT MVPs by invitation only. Additional sessions focused on Identity on Thursday and Friday open to all MVPs. Microsoft Azure: Additional sessions on Thursday and Friday open to all MVPs. Office Apps & Services: Additional sessions focused on Microsoft Teams on Thursday and Friday open to all MVPs. Roundtables focused on Microsoft Teams on Thursday and Friday open to Microsoft Teams contributors by invitation only. Office Development: Additional sessions on Thursday focused on Microsoft Teams development with SharePoint Framework and Microsoft Graph. Windows Development: Campus events and round table focused on Windows Insider on Thursday open to Windows Insider contributors by invitation only. Focus groups and an internal walk focused on Windows Application Development on Thursday open to all MVPs. Additional sessions focused on Windows IoT on Thursday open to all MVPs. The 2019 MVP Global Summit Community Pre-Day is taking place at the Hyatt Regency Bellevue on Sunday, March 17. As a reminder, this is an optional event; however, your attendance is highly encouraged as we look forward to starting the week together as a global community! Event registration will open at 10:00AM, while Pre-Day activities will run from 10:00AM - 5:30PM. Please note: you must pick up your conference badge at registration prior to participating in any Pre-Day activities. Session times and locations will be available in the Schedule Builder. Be sure to register by adding pre-day sessions to your schedule! Lindsay-Rae McIntyre Beyond the Programs: Driving Success in a Complex World Through Diversity and Inclusion and Cultural Transformation At Microsoft, enhancing our diversity and creating a more inclusive workforce is not a singular objective; it is a foundational commitment to our employees, our customers, and the markets we serve. Join Microsoft's Chief Diversity Officer Lindsay-Rae McIntyre for a view into our multi-faceted approach to addressing the complex and intertwined issues that can be barriers to individual and organizational success in a constantly evolving world. Learn how to engage people in every role, level and function to participate in and own the process. 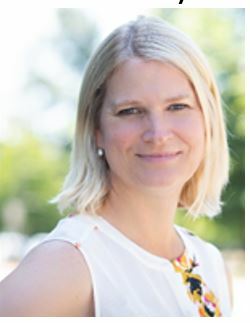 Lindsay-Rae joined Microsoft as Chief Diversity Officer in July 2018. Her charge is to lead Microsoft's diversity and inclusion efforts which are at the center of the company's evolving culture and critical to its mission to empower every person and every organization on the planet to achieve more. Prior to Microsoft, Lindsay-Rae spent more than 20 years at IBM, most recently as Chief Diversity Officer and VP of Human Resources, Executive Succession. Miri Rodriguez is a globally recognized Storyteller for Microsoft Core Services Engineering. She is a creative journalist and content advocate designing stories across key technology trends, evangelizing brand narrative and showcasing how Microsoft is digitally transforming using its own technologies. Miri has earned several awards in digital marketing and customer experience and is ranked as top in-demand speaker at leading industry conferences around the world. 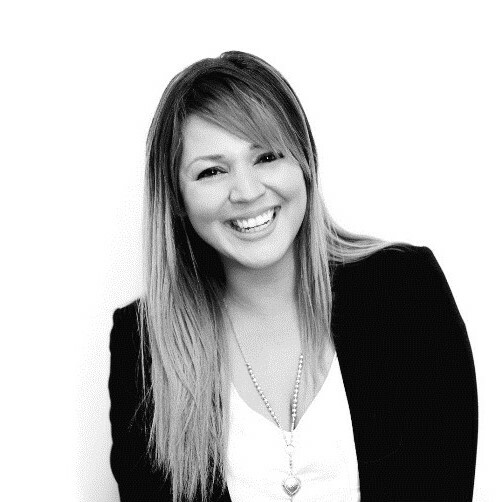 Miri brings 15+ years of expertise, valuable industry insights and a lighthearted approach. Her biggest accomplishment to date is being a mother of 2 boys and an American Bulldog. She can also run in heels. Ice cream is her superfood. 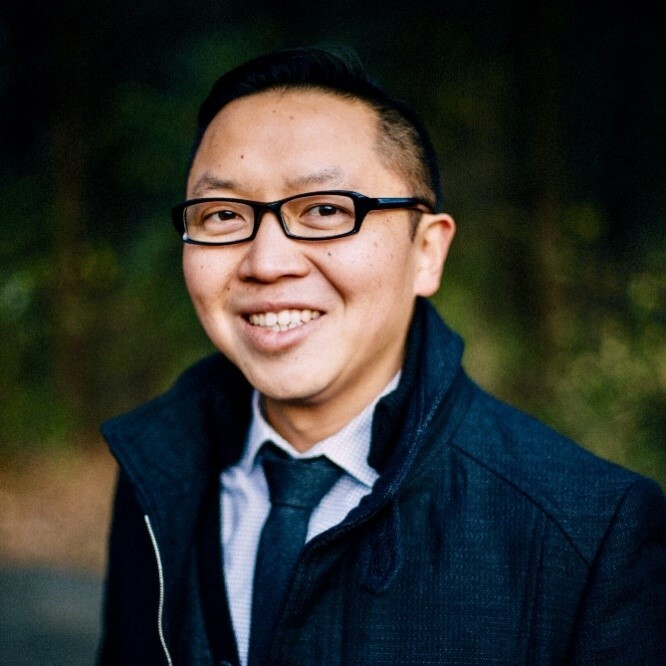 Dux Raymond Sy Public Speaking Excellence: Be a Rockstar Presenter in 5 Steps Have you always aspired to be a phenomenal public speaker? As you know, it takes a lot of preparation and practice to be the public speaker you want to be. The ability to speak confidently and deliver a clear, concise and engaging presentation is what every presenter aims to achieve. Join this interactive session designed for both new and experienced presenters where you'll learn the proven 5 steps to take your presentation skills to rockstar level! With over 20 years of business and technology experience, Dux is the CMO of AvePoint. He has successfully driven digital transformation initiatives for commercial, educational and public sector organizations worldwide. 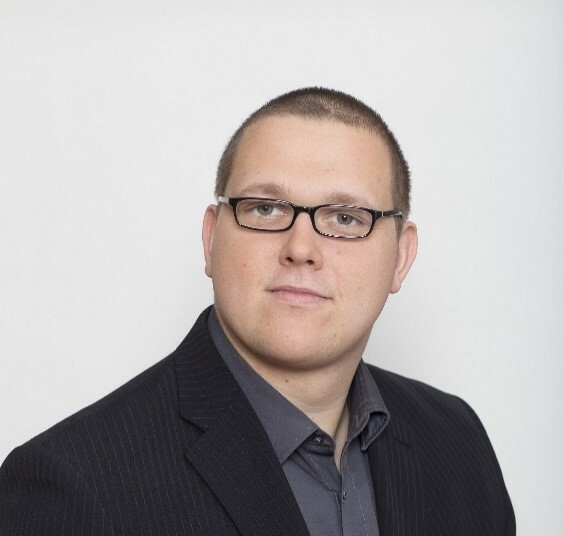 A sought-after trusted advisor, Dux is the author of "SharePoint for Project Management". 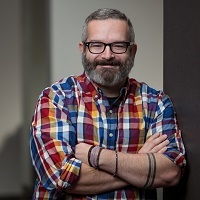 He is a Microsoft Regional Director (RD) and Microsoft Most Valuable Professional (MVP) who has authored whitepapers, industry articles and delivered interactive presentations to over 10,000 people in major industry events worldwide. Doug Winnie 3 LinkedIn Tools Built for Community Leaders Discover three features LinkedIn Premium offers and how it can support your role as a community leader! Learn how connecting your LinkedIn profile to Outlook can help create a stronger professional network. See how to spark community conversations with groups and content beyond quick updates. We'll also discuss how salary and industry insights can be shared with your communities to be a valued leader and mentor. Doug Winnie is a LinkedIn Learning Insider, instructor, and teacher focusing on computer science, beginner programming topics, and related technology fields. His courses on LinkedIn Learning have reached over 2.2 million views, and he teaches AP Computer Science at a local bay area high school. At LinkedIn, Doug is a key partner with the MVP Program and similar programs at Adobe and Autodesk. Dr. Megan Lawrence Pushing the Boundaries of What's Possible with Microsoft Accessibility With more than one billion people with disabilities in the world, Microsoft is passionate about accessibility and is invested in ensuring our products work for all our customers. Join Megan Lawrence, Microsoft's Sr. Accessibility Evangelist, to learn about the evolution of accessibility at Microsoft and how we're making accessibility a core part of how we design and build our products, websites, and tooling. We'll also share our latest accessibility innovations and how AI can help empower people with disabilities. 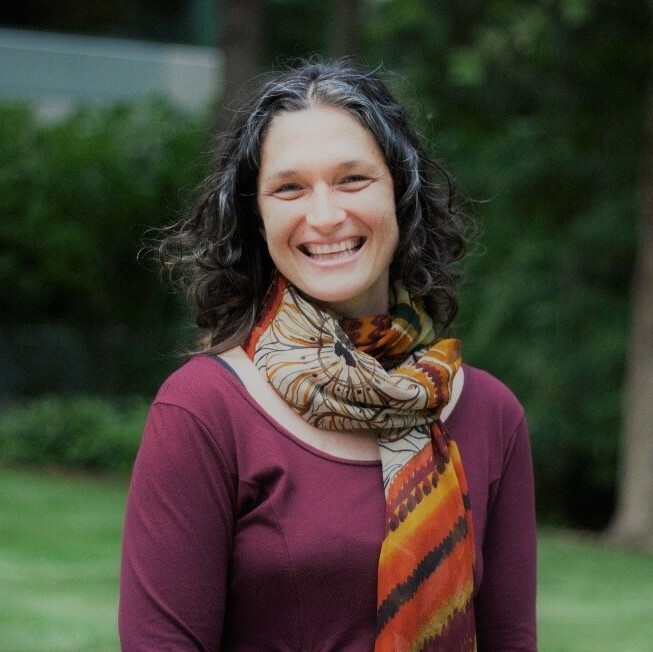 Dr. Megan Lawrence is a Senior Accessibility Technical Evangelist at Microsoft with 15 years of experience working with the disability community. Megan builds trusted relationships with customers, NGOs, and Assistive Technology partners to further Microsoft's mission of empowering every person and organization to achieve more through the lens of inclusion. Megan works deeply with customers and the disability community to educate and keep them up-to-date on the latest at Microsoft Accessibility including how we continue to build a culture of inclusion and how built-in accessibility is the lens of innovation in Microsoft technology. Eric Berg How Taekwon-Do Helped Me Understand Community Better Let me show you what we can learn from a martial art that is thousands of years old, and how this influences the handling of IT and the work of bringing together a community. Even in these new and fast-moving times, we can learn from the old traditions and thus come to a better understanding together. This session will show you how to support other people by supporting yourself and will explain an advanced community mindset. Eric is an MVP for "Microsoft Azure" and "Cloud and Datacenter Management". He is working as Azure Lead Architect at COMPAREX AG. His main areas are: Azure, Hybrid Cloud, Infrastructure Management, Hyper-V and System Center. His motto: "The community lives from the community and only those who join in keep her alive!" Community Meetup: How to Run a Global Bootcamp Community leaders and MVPs organize multitude of events ranging from casual meetups to conferences and even global community initiatives. As an example, since 2012 the Global Azure Bootcamp has grown year on year in terms of number of locations and attendees and has spawned a number of other successful global initiatives in AI, Integration and DevOps. Come and join a group of community advocates and take a look at what it takes to organize an event with global reach! Whether you have attended, organized or are just curious about one of these community-led events, this session is for you. In this session, we will share our experiences, best practices and approaches on organizing the Global Azure Bootcamp events. We will cover practical topics that will help you boost your community event organizing skills, regardless of your event size or previous experience. There will be plenty of opportunities to get involved in idea generation and provide feedback to help global and local events grow. Join us to learn, share and be a part of the conversation! This meetup will be led by MVPs and RDs. Community Meetup: Maintainerati: By Maintainers, for Maintainers Open source has always been driven by the community: the majority of open source software the world depends on was built by volunteers. Join this meetup - a mini un-conference within a conference, organized by open source software maintainers for open source software maintainers and people looking to increase their involvement in open source. Maintainers are all coming up against the same issues and it's clear that a safe space is needed to swap ideas and to safely "give free expression to strong emotions". If you're looking to increase your involvement in open source or are already a leader of an open source community, come share your ideas, expertise, best practices and questions for likeminded maintainers. This meetup will be led by MVPs and RDs and will cover various topics related to open source software and community. Visit https://ghuntley.com/mvpsummit#event-seattle-2019 before the meetup to propose topics for discussion. This meetup will be held twice during Pre-day, to allow maximum participation! Conversations will be led by MVPs and RDs. Unconference Sessions Unconference sessions (also known as birds of a feather sessions) are opportunities for YOU, MVPs and RDs at Summit to plan and participate in meetup discussions about topics of your choice! Want to talk about best practices for planning a hackathon? How to develop your personal brand? Technology in education? Accessibility in gaming? The topics are up to you! Signups will be available outside of the Registration Room on the morning of Pre-day. You'll be able to propose your unconference session topic and vote on your favorites. In the afternoon, the highest-voted unconference sessions will have a space to meet and discuss. Hello MVP! Community Meet-and-Greet Summit is the one time of year when our global MVP and RD communities come together under one roof! Take advantage of this unique opportunity to say hello to old friends, meet new friends, exchange travel stories, share your tips/tricks to getting the most out of your Summit experience, or find a new friend to attend sessions with for the week! (Sunday during Pre-day only) Get a new headshot for your LinkedIn profile, demo Microsoft AI technology, participate in a community service project, and much more!